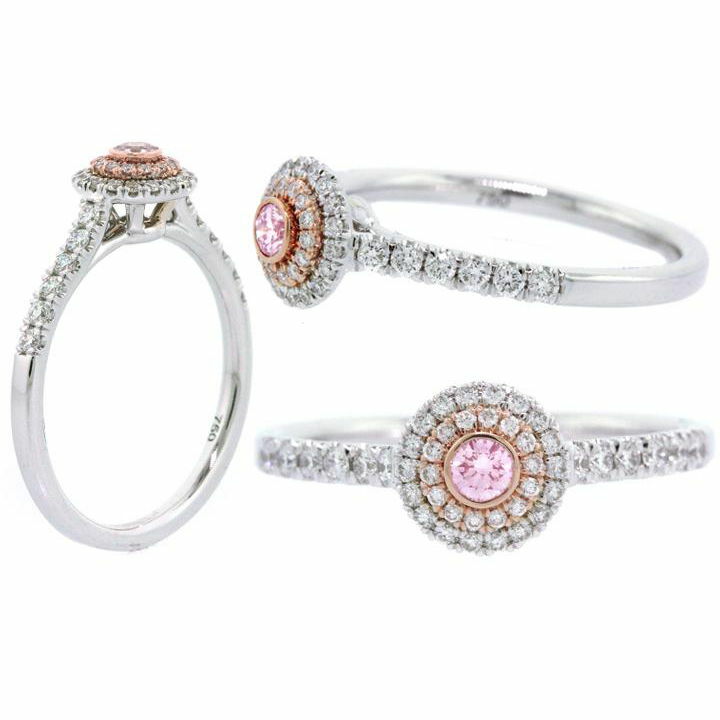 Very special and delicate pink diamond ring. 0.06 carat round brilliant argyle pink diamond (7P) with a double halo of white diamonds to enhance the sparkle. Total diamonds weight 0.36 carats.